LONDON — The British sculptor Anthony Caro, widely known for his monumental works using industrial metal, died on Wednesday of a heart attack. He was 89. His death was confirmed in a statement from the Tate Museum. With a career spanning five decades, Mr. Caro was still working until recently, having opened a new exhibition at the Gagosian Gallery in London in June. Nicholas Serota, the director of the Tate, described him in the statement as one of the most “outstanding” sculptors of the past fifty years. 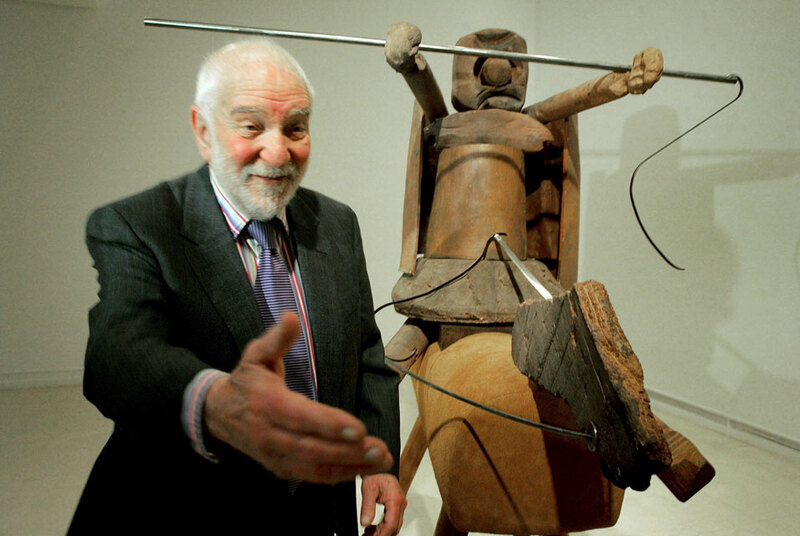 “Caro was a man of great humility and humanity whose abundant creativity, even as he approached the age of 90, was still evident in the most recent work shown in exhibitions in Venice and London earlier this year,” he said. Mr. Caro was born in Surrey, England, in 1924 and studied engineering at Cambridge University. After studying sculpture at the Royal Academy Schools in London, he worked as an assistant to the British abstract sculptor Henry Moore. In June, Mr. Caro told the British newspaper The Independent that he would be bored if he didn’t make art and said that his 50-year career was still “just beginning.” “It’s something to get up in the morning for and I look forward to going into the studio. I would be bored if I didn’t do that,” he said. “I’ve chosen a very pleasant life because it’s something I like doing.” (via NYTimes.com).